There are many ways to make yourself feel happier and good about yourself. 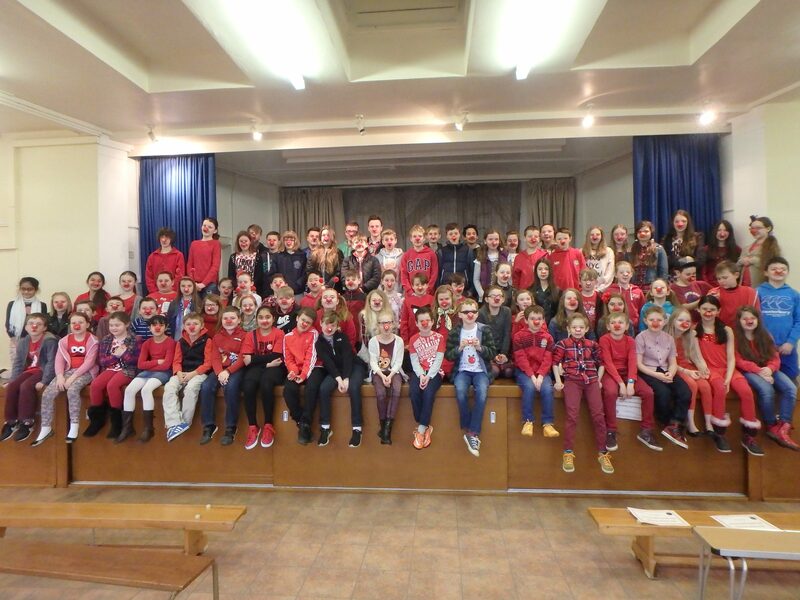 One that we certainly encourage at Red House is giving to others. Last Friday we saw two important examples of ‘giving’ in School. The first was the Mother’s Day service held in a packed St Mary’s Church. Nursery & Infant children read poems while mums, dads and family looked on. During the service the children presented their mothers, and in some cases grandmothers, with flowers they had made in class. 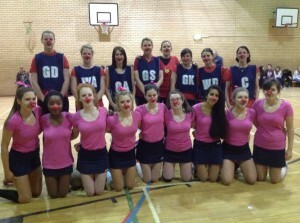 Friday also saw the School supporting Comic Relief. Year 10 started the ball rolling earlier in the week with an array of table top competitions set out in the sports hall. On Friday children arrived at the Prep & Senior School dressed in red and sporting their red noses. 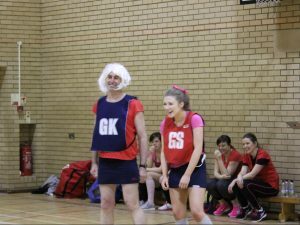 A hard fought netball match between the senior girls and female staff was a big draw at lunchtime, but not even the staff’s special guest appearance of Mr Jones joining their team, wearing a blonde wig, could distract the Year 11 girls who won 17-9!. 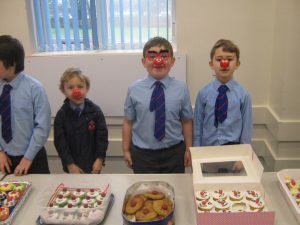 Mrs Reily’s GCSE art class spent their lunch busily face painting with a huge range of motifs being applied, from sheep and moustaches to more red noses. Over in the Barn Year 3 children were active selling red nose themed cakes. 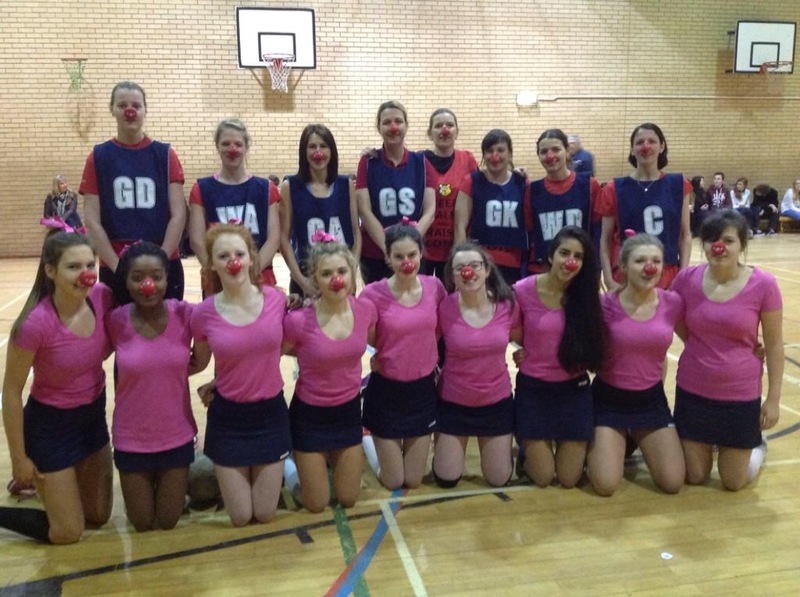 Overall the School raised a massive £1,175 in support of Comic Relief, well done to all involved didn’t that make you feel happier?